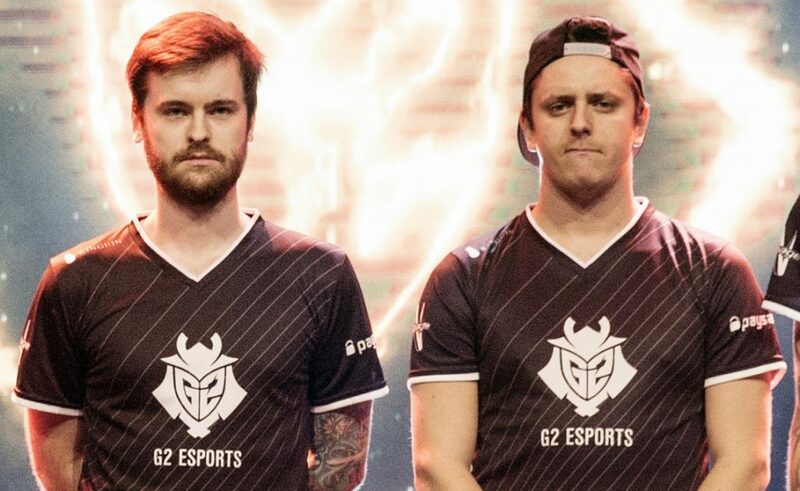 In a statement, the Berlin based organisation announced that Nathan “NBK” Schmitt and Dan “apEX” Madesclaire would be leaving G2, following the successful transfer of their contract to an undisclosed team, believed to be Team Vitality. As reported earlier, the pair have been heavily linked to a move to French Esports organisation Team Vitality, who are looking to form a CSGO team, featuring The pair have been strongly linked with a move to French organisation Vitality, featuring ex-EnVyUs duo Vincent “Happy” Schopenhauer and Cédric “RpK” Guipouy, aAa awper Mathieu “ZywOo” Herbaut. The hype around them, however, was short-lived after limited successes in their early periods with wins at ESL Pro League Season 5, Dreamhack Tours 2017 and Dreamhack Malmö 2017 being their only victories, which masked their inconsistent performances at other events throughout the 14-month stint of the roster. On June 4th this year, the organization announced the return of SmithZz and Kevin “Ex6TenZ” Droolans to the active lineup at the expense of the pair. It was only inevitable that they would eventually be transferred out, and this statement was a mere formality and a farewell. 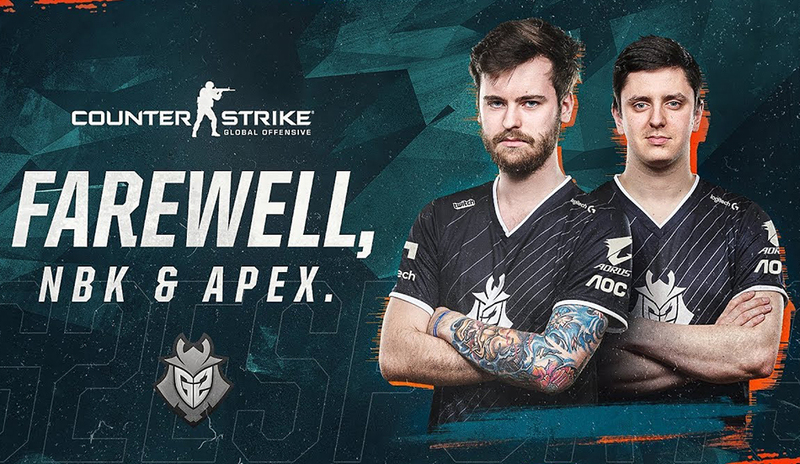 I truly wish the best to NBK- and apEX for the next part of their CS:GO journey. On a personal level, I love Nathan and Dan and I would have absolutely loved to have the opportunity to spend more time with them. They have been fantastic ambassadors for G2 Esports and the game. The decision to move them to the bench was not an easy one or a reflection of either player’s ability or character. Throughout their time at G2, they proved their ability and strength as players and professionals and I have no doubt they will continue to do so at their new home. They also released a farewell video to mark the memorable moments the two had in their time at G2.